Join Jackie Ramstedt for tons of FUN with Fair Housing! Refresh and tune in to the latest and greatest with Fair Housing! Whether you are managing a small apartment community in rural America or one of the industry�s largest assets, people�s expectations in principle, are still basically the same: �give me good quality products with reliable service performed by competent employees for the value of money I am spending�. With today�s aggressive competition trying to compete solely on price, you may quickly be on the road to ruin for your business if you can�t differentiate between �expectations� and �advantages�. 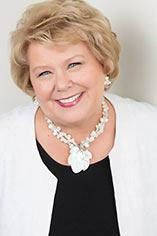 Jackie Ramstedt is a nationally renowned multifamily management consultant, performance coach, apartment expert, and industry speaker with more than 30 years' experience in the apartment industry. If you need to schedule a corporate-wide educational series, she will tailor her performance coaching to your individual needs. She can help train your people in topics including management and leadership, sales and marketing techniques, and effective team building. As an apartment expert, she can also help instruct your team on how to work with problem residents to create a better customer service oriented business. As an apartment industry performance coach, Jackie can focus her training on Fair Housing Compliance. With her professional training and coaching, she can help someone in your company become a sales and marketing specialist. 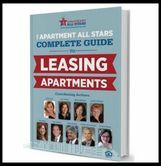 Jackie also excels as a multifamily consultant, and her blog can provide you with management solutions. You will not find an apartment Industry speaker with a better philosophy of property management. She will teach your team about topics like property operations management and ethics. As an apartment expert, she has spoken to thousands of apartment industry professionals on a national level for the National Apartment Association, the Multi Housing World Conference, and more. Find out more about Jackie Ramstedt Apartment Industry Consultants. I just wanted to thank you for a wonderful Trainer The Trainers class last week in New Jersey. You are always upbeat and inspirational. Thanks for putting the spark back in my team - sometimes they just need to recharge. You're the best!